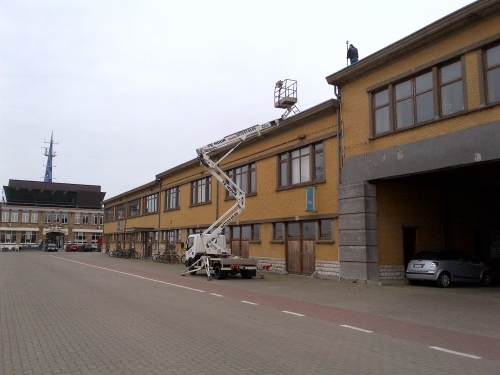 In the framework of the Flemish contributions to the LifeWatch infrastructure, a high-tech sensor network was installed to better monitor the habitat use and migration patterns of large birds. Since 1999, the Research Institute for Nature and Forest (INBO) studies the postnuptial migration, and mate and site fidelity of large gulls, using observer sightings of colour-ringed individuals. Using similar methods, the INBO started studying the ecology of the Western Marsh Harrier in 2011, an Appendix I species of the European Birds Directive which Belgian population is in decline. Although the extensive database at present holds more than 90.000 resighting records, emerging habitat use and migration patterns are strongly biased towards more populated areas and locations where the rings can easily be read. 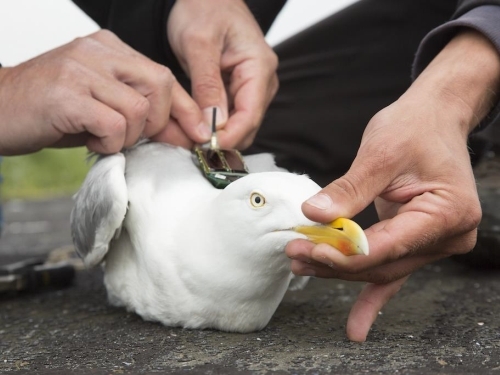 In the framework of the Flemish contributions to the LifeWatch infrastructure, a high-tech sensor network was installed (start June 2013) to better monitor the habitat use and migration patterns of large birds, such as the European Herring Gull (Larus argentatus Pontoppidan, 1736), the Lesser Black-backed Gull (Larus fuscus Linnaeus, 1758) and the Western Marsh Harrier (Circus aeruginosus (Linnaeus, 1758)). In 2018, the INBO started tracking Eurasian Oystercatchers (Haematopus ostralegus Linnaeus, 1758) in a joint project with SOVON (NL). The research is led by INBO researchers Eric Stienen (gulls) and Anny Anselin (Western Marsh Harrier) in collaboration with the Terrestrial Ecology Unit (TEREC) at the University of Ghent, and the University of Amsterdam (UvA, LifeWatch coordinator in the Netherlands). The Flanders Marine Institute (VLIZ) is responsible for the installation, maintenance and data flows of the sensor network. All equipment is developed by the Institute for Biodiversity and Ecosystem Dynamics (IBED) at the University of Amsterdam: the Bird Tracking System (UvA-BiTS). The total number of tracked birds is now 220 (200 gulls, 8 Western Marsh Harriers and 12 Eurasian Oystecatchers), although the number for which tracking data is received, is lower, due to disturbance, predation, or signal loss. The 2013, 2014, and 2015 gull tracking data have been published as open data and were described in a data paper (Stienen et al. 2016). In 2018, an additional 20 gulls were caught and tagged: 4 Herring Gulls and 16 Lesser Black-backed Gulls. During the breeding season of 2018, considerable efforts have been made to catch and tag 3 additional Western Marsh Harriers at Linkeroever. However, catching Western Marsh Harriers was harder than expected and only 1 young male was tagged during the field campaign. 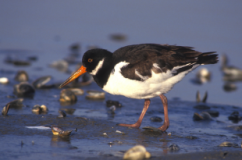 In spring 2018, 12 Eurasian Oystercatchers were caught and tagged in the Scheldt estuary. During the breeding season of 2017 (May-June), 32 additional gulls were caught and tagged: 1 Herring Gull nesting on the roof of the Vismijn in Ostend, 10 Herring Gulls and 5 Lesser Black-backed Gulls nesting in the port of Zeebrugge, and 16 Lesser Black-backed Gulls nesting in the colony of Vlissingen-Oost. In 2017, no additional Western Marsh Harriers were tagged. During the breeding season of 2016, 43 additional gulls were caught and tagged: 14 Herring Gulls nesting on the roof of the Vismijn in Ostend, 13 Lesser Black-backed Gulls nesting in the port of Zeebrugge, and 16 Lesser Black-backed gulls nesting in the colony of Vlissingen-Oost. Also in 2016, three additional Western Marsh Harriers were tagged (2 males and one female). None of the in 2014-2015 tagged birds have returned to their nesting location, but one male was found dead for which the wintering season data could be retrieved. During the breeding season of 2015, 38 additional gulls were caught and tagged: 13 Lesser Black-backed Gulls nesting in the port of Zeebrugge, 9 Herring Gulls nesting on the roof of the Vismijn in Ostend, and 16 additional Lesser Black-backed Gulls at a new colony, in Vlissingen-Oost. One Western Marsh Harrier was successfully captured and tagged in the Krekengebied. Three previously tagged Harriers returned: one to the Krekengebied and three to Groningen. This was done in close cooperation with the University of Groningen and the Montagu's Harrier Working Group. Also during 2015, the LifeWatch.be Bird Tracking Network was extended to Spain: in cooperation with LifeWatch Spain and UvA-BiTS, one base station and one relay were temporarily installed in the biological station of Doñana (EBD) as a test case. 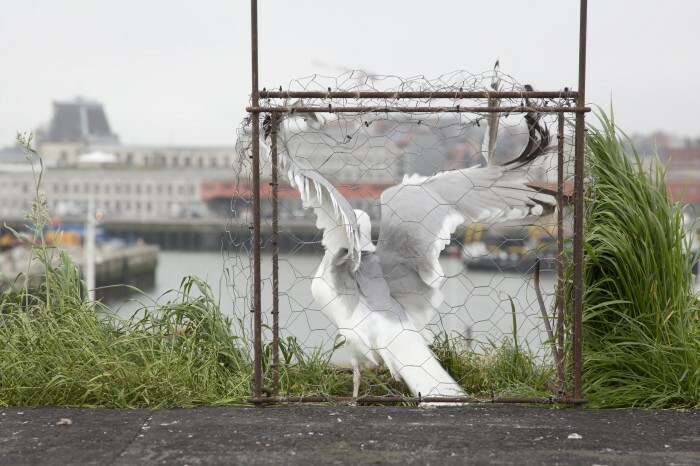 In 2014, 24 ground-nesting Lesser Black-backed Gulls were caught and tagged in the port of Zeebrugge, and 8 Herring Gulls on the roof of the Vismijn in Ostend, all using a walk-in cage. Additionally, 1 ground nesting Herring Gull was caught in the port of Zeebrugge and 3 Herring Gulls were caught with a small canon net when feeding on the Visserskaai in Ostend. In Noord-Groningen (The Netherlands), 2 male Western Marsh Harriers were successfully captured and tagged. 2 of the 3 birds captured in 2013 in the Krekengebied (Belgium) returned to the same nesting area as well and were closely monitored. During the breeding season of 2013, 22 Lesser Black-backed Gulls (11 males and 11 females) were caught on their nests in the harbor of Zeebrugge and successfully tagged, as well as 5 European Herring Gulls (3 females and 2 males) in the harbor of Ostend. Tagging the Western Marsh Harriers was more challenging: the unfavorable weather conditions (cold, windy and wet) during their breeding season resulted in fewer and later nests. 2 males and 1 female were successfully tagged in the Krekengebied (North of East-Flanders). In addition, web cams were installed in Ostend and Zeebrugge to observe the nesting behavior of the gulls in more detail. At each location a ground station was installed and in the Krekengebied relay antennas were installed at high positions (e.g. high voltage transmission towers) to cover a wider area. The tags are programmed to measure the bird's position and height at regular intervals using GPS. In addition, air temperature and bird activity (using an accelerometer) are measured. 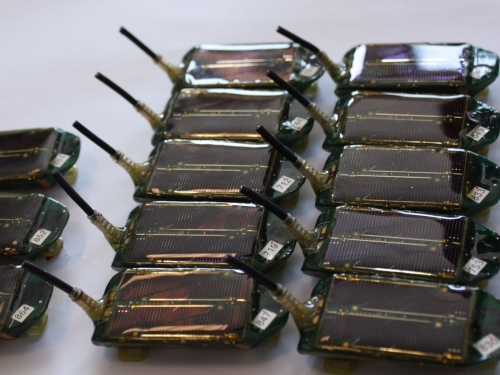 The collected data are stored until those can be transmitted to a ground station or relay antenna using Bluetooth, which is especially required during the birds' annual migration, when no data connection can be established. Ground station software allows the researcher to define and send the measurement setting for each tag. A near real time data flow set up by VLIZ captures the data directly from the antenna logs. This functionality is useful for monitoring the remaining battery power from anywhere in the field. Flight data from the last 4 days are also visualized here on the Belgian LifeWatch website. A more substantial, but delayed data flow is set up by IBED. These data are recorded in a centralized database accessible to registered users via a virtual lab. The INBO developed a workflow to allow researchers to 1) analyze and visualize these data via CartoDB and 2) disclose these data to the public. Some data visualizations can be seen here. In addition to the tracking data, video data of bird behavior is transferred in real-time to the VLIZ servers and directly available for viewing here on the Belgian LifeWatch website. Camera viewpoints can be changed in real time by scientists with advanced user rights. LifeWatch data explorer - Bird GPS tracking data: Access and explore the LifeWatch data. Real time bird data: Follow the tagged birds in real time. Historical bird data: Read about the migration and foraging behaviour of the tagged birds.